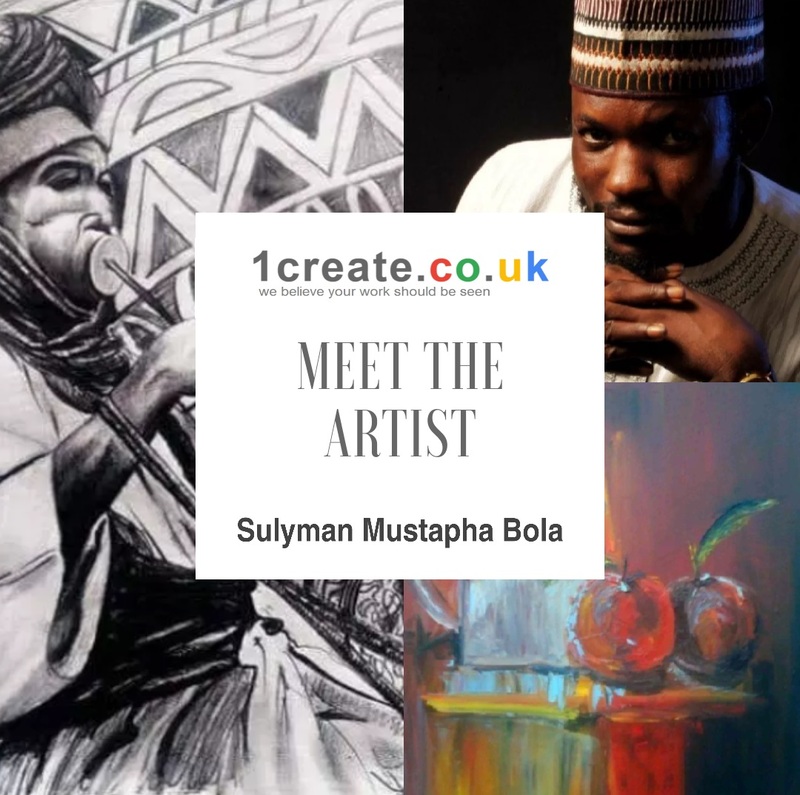 Sulyman Mustapha Bola graduated from Yaba College of Technology in 2015 with an HND as a Graphics Artist. All my life is art. Right from my childhood I loved drawing anything that came from my heart and imagination. I love to draw from life and still life is my favourite subject matter becoming somewhat of a habit to the extent that I no longer have limits. All my notes books from my junior school are full of images and my brother made notes in the headers, numbering all my note books so I could quickly find what I was looking for when I needed to use it for drawing. Music quietly gives me the total feeling of life especially when I’m listening to sounds of any music when working with my daily medium, a pencil. It always inspired me to express myself in details. I also love to draw people in the street. It gives me the ability to be bold and faster at drawing doing 20 minute life drawings that resemble anyone sitting in front of me as my subject. This has become a daily routine for me and I believe every artist has a large pool of memories stored from whatever they’ve seen in their daily activities, making them stronger in their thinking ability to bring anything from their heart into their artwork. As well as painting I also have the ability of construction in 3D modelling using such materials as metal, wood and any material as long as I can communicate with it often experimenting with various mixed media and techniques. Nothing gives me more joy than being in art circles and drawing gives me extra energy to paint. I am a political artist who has participated in several exhibitions in Nigeria. I am also lucky enough to be a proud member of 1create.co.uk and this year I have become an Emerging Gallery Owner with 1create.